Spectacularly stunning and incredibly diverse in wildlife, Zululand is definitely one of the South Africa’s most in-demand tourist attractions, even with its tiny size. In this site tourists can see the World Heritage-listed Drakensberg mountains along with their jagged-backed summits as well as the magnificent landscape. Visitors also have the chance to visit Durban’s amazing shorelines and surf breaks and witness the exciting wildlife. Much more, you can get to experience and feel the lifestyle of the flourishing Zulu culture. Zululand also known as KwaZulu-Natal, hosts the Hluhluwe-iMfolozi Park, the oldest game park on Africa, and also indulging private game reserves in which fortunate tourists could see the Big Five (leopard, lion, elephant, buffalo, and rhino). Across the coastline, nature lovers could discover the spectacular landscapes of iSimangaliso Wetland Park, one more UNESCO World Heritage Site, and plunge into the coral reefs of Sodwana Bay. You can include the historical Boer War and Anglo-Zulu battlefields as well as Durban’s multicultural town pleasures, and it is obvious why this is the region where South Africans love to visit and play. Listed below are the top 5 best spot in Zululand. The Drakensberg, which means “Dragon Mountains,” is a haven of spectacular splendor and one of the most popular destinations in the country. Jagged-backed mountains rise above thick woodlands and also rich valleys, and cascades of crystal clear mountain streams. Included in this magnificent area is the uKhahlamba-Drakensberg Park, a UNESCO World Heritage Site having high basalt summits that happen to be the highest on the region and San (Bushmen) rock drawings, not to mention the Royal Natal National Park with the Amphitheatre, a five-kilometer-long rock wall that hosts one of the earth’s highest waterfalls falling from the top. Mont-aux-Sources, 3,282-meter-high, is the original source for a few of the country’s great rivers. In the area, tourists can easily see herds of eland, bearded vultures, as well as exceptional Bushman rock paintings on Giant’s Castle Game Reserve. One more sight destination of the region is Cathedral Peak which includes some of the region’s most breathtaking mountain landscapes. This location is also the place to find the venerable Cathedral Peak Hotel, that has been pampering visitors since the time of 1939. Outdoor lovers visit all these velvety green mountain tops to fly-fish for trout, walk and cycle in the forests tracks, rock climb, abseil, as well as river rafting. In order to appreciate more the spectacular scenery, tourists could fly above the area using a hot air balloon. Hluhluwe-iMfolozi Park (previously known as Hluhluwe-Umfolozi Game Reserve) is the oldest game park found in Africa and just one of the few regions in KwaZulu-Natal in which tourists can watch the Big Five: lion, elephant, leopard, rhino, and buffalo. This covers over 96,000 hectares which includes the wildlife hallway linking the 2 parts of the park, and it’s renowned for its rhino conservation initiatives – both white and black rhino can be found on this place. The park is situated in Zululand and it used to be the royal hunting field of King Shaka. At present, the park features a satisfying safari experience which you can see a remarkable variety of plant life and animals and often less packed areas compared to Kruger National Park. In the north part of Hluhluwe has tremendous mountain, while the iMfolozi area displays vast savannah with bigger trees over the riverbanks. Aside from the Big Five, you can also see zebra, wild dog, cheetah, hippo, blue wildebeest, hyena, not to mention the 300 varieties of birds which make the park their home. The ideal times for viewing in the park is during the cooler and drier months coming from May to October, but the summer season also provide rich growth and newborn wildlife. Visitors could decide to remain inside the park by getting small chalets, safari tents, as well as a selection of accommodations. A lot more lodging choices are offered outside the park. The World Heritage-listed iSimangaliso Wetland Park, also known as the Greater St. Lucia Wetland Park, covers the biggest estuarine system throughout Africa. iSimangaliso stands for “miracle and wonder” in Zulu, and the label is suitable for this wonderful biodiverse game reserve. This park includes 8 interconnected ecosystems: coral reefs, swamplands, lakes, croc-filled rivers, savanna, as well as coastline dunes. Wildlife is rich and varied here, thanks to this variety of habitats . In just a day tour, tourists could swim, dive, or canoe around coral reefs in which leatherback and loggerhead turtles go swimming. This is also a place where you can see an unbelievable variety of birds and also buffalo, leopard, zebra, as well as rhino at a game drive. In this park also found the biggest number of crocodiles and hippos throughout Africa. The Kosi Bay in the park provides empty seascapes of sun-bleached shoreline as well as shining lagoons. The spot is likewise recognized for its traditional fishing methods – fish are caught here using a woven baskets. The Nambiti Private Game Reserve, a 3 hour drive from Durban close to the magnificent Drakensberg mountains, features interesting guided safari adventures to search for the Big Five: leopard, lion, elephant, rhino, and buffalo. Landscapes varies from vast savannah and grasslands, with unimpeded sights of game, to rich riverine bush, as well as the wildlife is abundant. Aside from the Big Five, the park holds around 40 different varieties of wildlife including zebra, cheetah, kudu, and hippo, not to mention the diverse variety of birdlife. Guests at the daytime are welcome, and those that want to remain overnight can pick from 6 self-catering or full-board five-star lodges, a few have private pools, and also a raised luxurious tented camp. This well known private game reserve is situated close to the KwaZulu Battlefields, so tourists can mix a guided heritage tour along with their wilderness experience. Central Zululand, now a section of KwaZulu-Natal, was the place of numerous historical battles in between the Zulus, Boers, as well as British. These days, tourists could discover this vibrant history about the Battlefields Route. Well-informed guides bring tourists to view battle locations, galleries and museums, memorials, as well as forts and discuss exciting facts and descriptions of such historical incidents. The two most well-known battlefields is a quick drive from one another: In Isandlwana, tourists will find out about the battle in between 22,000 Zulu warriors who won towards 1,350 British soldiers at one of the earliest fights of the Anglo-Zulu War. Around 16 kilometers from this point, you can reach Rorke’s Driftis – the location in which British troops protected a mission station from the assault of greater than 3,000 Zulu warriors. Vryheid is the biggest city around the Northern part of Natal Battlefields Route, and features the scene of fights in between British forces and Zulus and in between British forces as well as the Boers. 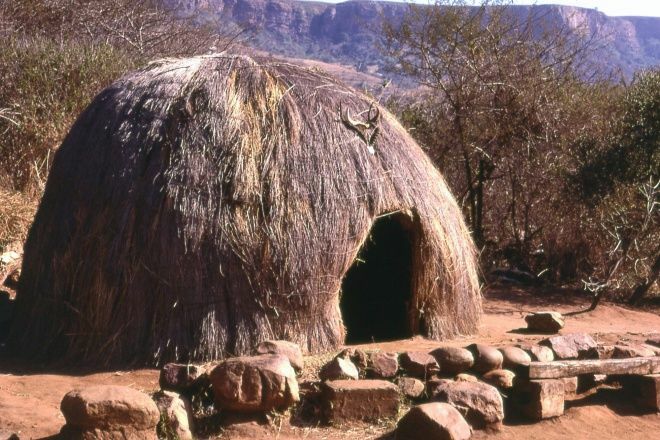 Blood River Heritage Site is one other popular Zulu-Voortrekker fight site close to the town of Dundee. Following the annexation of Zululand and its particular incorporation on the area of Natal, the British authorities constructed numerous forts in the area, such as Fort Nongqai in Eshowe. If at all possible, tourists need to try to focus on a specific era or region of the battlefields route since the sites are really vast. A lot of guides offer pick-up points on towns like Durban or Johannesburg. 1. Sodwana Bay National Park – This is considered to be one of South Africa’s finest diving spots. As being a portion of iSimangaliso Wetland Park, the particular park can be found in the shoreline of the Indian Ocean along South Africa’s most southern region coral reefs sparkling just offshore consisting of schools of brilliantly colored fish. 2. Sani Pass – This is among South Africa’s most impressive hill roads. The road runs through the entire Mzimkulwana Nature Reserve having scenery beginning from huge rock outcrops and green-cloaked mountain ranges to dizzyingly high ravines. 3. Tatham Art Gallery, Pietermaritzburg – Pietermaritzburg, KwaZulu-Natal’s friendly capital lies the Tatham Art Gallery which is definitely a must-see for lovers of art. The art gallery can be found just in the opposite side of the City Hall on the building once used by the Top Court and exhibits an incredible variety of both European and South African art with a focus on art from.